It's Facebook Fridays! for October 5, 2018, and we want to open the way for you! The Lucky Mojo Curio Company is holding a random drawing to give away 8 obstacle-surmounting Road Opener spiritual supply prizes to clear your path forward. 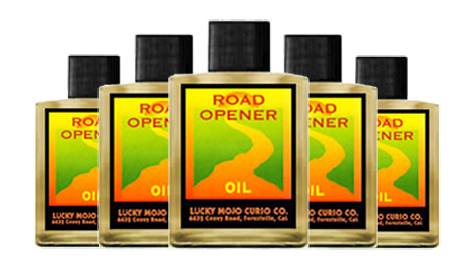 This week each lucky winner will receive a bottle of hand-made Lucky Mojo brand Road Opener Oil to clear away past blockages and set-backs, while opening the door to a better future and new ventures. 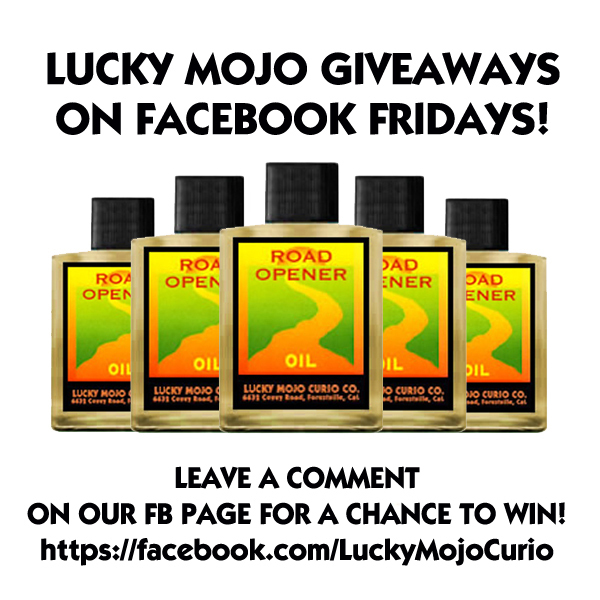 First thing tomorrow morning, we will select EIGHT winners at random, announce their names here, and ask them to message this Facebook Page with their mailing addresses, so we can send them their FREE Road Opener Oil. We have a winner! In fact, we have 8 lucky winners! Our Facebook Fridays! winners for October 5, 2018 are: Conchita Cartago, Laurie Meyers, Debbie Barton Kay, Jessica Pratt, Kelly Buckman, Wade Washington, Nikki Gonzales-bairu, and Jeff Albrizze.